Review a selection of Holmberg Wellness Group patient testimonials below and please give our Wichita chiropractic office a call or click here to email us if you have any questions. The service and attitudes of the staff in Dr. Holmberg’s practice is exceptional. 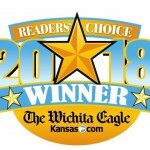 After moving to Wichita from Illinois and needing a new wellness group for a previously experienced back injury, I had some serious doubts I would find a place that would measure up to the quality of help I received from my previous massage therapist and chiropractor. However, the general atmosphere of professionalism and quality of care in the office really put my mind at ease to know that I made the right choice. I have no doubt in their treatment plans and capable hands to help on my recovery and continued maintenance. This is my first experience at a chiropractor and you all made it wonderfully easy and worry free! I have always wanted to go to a chiropractor but was never educated on how easy and inexpensive it can be! Everyone is so caring and pleasant, very positive. I was pleased to find out the root cause of my problems and what can be done to correct and heal my body! Now I am truly looking forward to the healing process. Thanks Dr. Holmburg and staff! Addie at the front desk has great customer focus and relates very well to the customers by identifying them by name and learning personal details in which she can carry on a conversation. A focus is placed on the patient’s health by recommending changes to diet and exercise and not just just focusing on chiropractic care as the only solution. My experience has been great and I would recommend others based on that. Holmberg wellness is concerned about the over all health of their patients. I appreciate this very much. The tip about drink more water was very much appreciated. Thank you Dr. Holmberg. Even before I was a client the staff has always been very gracious and kind. Abby at the front desk is an absolute rock star. If you could bottle her energy and kindness you could make a fortune. I watch as she treats clients and her conversation and her interaction is genuine. I feel like the whole team cares about your well being the minute you walk in the door. I have had chiropractors as clients for many years and never used one of them. I feel like I missed the boat years ago but not starting a plan with Dr. Holmberg. Each visit I have with Dr. Holmberg is great, it may not feel that way at the moment but I know that we are working with “wellness” in mind. He is sincere and I know he really wants to see improvement in my quality of life. I would recommend to all that if you want “wellness” in your life go see Holmberg and his team. I was in an automobile accident in late May of 2015. As a result of that accident, I had severe soreness and pain on the right side of my lower back. I went to Holmberg Wellness Group to get help and treatment. I was given a very thorough exam and X-rays my first visit. From those things, Dr. Holmberg created a treatment plan to help me get better and feel better. I had other areas of pain and soreness in my left hand, right shoulder, and right foot. From June 2015 through January 2016, I was there three times a week getting electro therapy treatment and adjustments. I can’t tell you enough how much better I felt each and every month. starting out, I had pain levels anywhere from 5-7 and now all pain levels are under 3 and very seldom 3 mild brief pain. Dr. Holmberg and his staff are great at their jobs and they truly care for each and every one of their patients. Make all of your appointments and follow your treatment plan and you will get better and see improvements. If you are given daily stretches, then do them every day because they will help you. Eat better, drink a lot of water and exercise like they suggest to you and you will feel like a new and better person. I am so lucky and grateful to have Holmberg Wellness Group to take care of me. Dr. Holmberg and his staff are patient, encouraging, and informed. When I have questions, they are ready with answers. I am also impressed by the care I have received; the pain I’d been experiencing for months is greatly reduced, and I have more range of motion. I am able to swim and compete in triathlons virtually pain-free. I highly recommend Holmberg Wellness Group to anyone who is experiencing any kind of pain that limits their mobility. When I first started treatment, about 14 weeks ago, I had severe numbness in my left arm and intense pain in the left shoulder and back area. I also have a bulging disc in my lower back from several years ago that caused a lot of discomfort and headaches. I was using an inversion table at that time, between 2-3 times a day for 10 minutes at a time, to manage the lower back pain. As of now I have no pain in my left shoulder and back area, with little numbness in my left arm. The numbness come and goes. My lower back hasn’t felt this good since before I hurt it all those years ago. I haven’t used my inversion table in several weeks and haven’t had any headaches in along time as well. I’m back to working out 5 days a week and have had no issues walking over rough ground while hunting, which is something that has bothered me since my original low back injury. I’ve seen other chiropractors in the past but I am far more pleased with Dr. Potter and his total approach to spinal treatment and health that any other chiropractor or M.D. I’ve seen in the past. I was impressed that everyone I looked at never looked down or away from me when passing by. They looked directly at me and smiled with a “Hello” or nod. Generally people in medical offices are in a hurry looking down at the floor or into a chart and keep walking by too busy. Very friendly! Gave me the impression their patients do come first! I liked that! My sister recommended visiting Holmberg Wellness during my extended stay in Wichita. I have received the benefits of chiropractic care for more than 35 years. I would have to say that Dr. Hesse is by far the best experience in chiropractic care I have received. He took the time to listen to my concerns and gave me personal “tailor made” care, not “cookie-cutter” treatment. I appreciate the way he treats the whole body – nutritional, physical, and emotional. That alone far exceeds the “average” chiropractor. Dr. Hesse’s knowledge and compassion are a great combination. I feel more “aligned” after 4 treatments than I ever have. Thank you for your excellent, professional care. 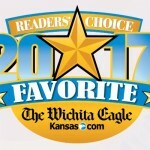 It is nice to know that I have a Wichita chiropractor whenever I visit. Before I started coming to the Holmberg Wellness clinic, I was in pain everyday. I had accepted it as a part of life. But now, after just a few months of therapy and adjustments, I am relatively pain-free! I love coming in for treatments! Everyone is always so happy and positive! Jenny always greets me by name when I walk in the door, Tiffany is always ready to show me to the rolling beds. THE ROLLING BEDS!! I feel like I’m in Heaven! I love to lay there and shut my eyes and concentrate on feeling the rollers going up and down my spine-loosening me up as they go. All of the doctor’s here are wonderful! Cheerful, helpful, positive, and informative, and then there is Dr. Holmberg…He is FABULOUS!! He always makes me feel better-both physically and emotionally! He makes me feel as though he was put on this earth to help me and he does! I am so much better today then the day I walked in here. He not only adjusts me so that I immediately feel better, but he has helped by showing me stretches and strengthening exercises that I can do at home. So I say a big THANK YOU to Dr. Holmberg and the Wellness Group!! A year ago I was diagnosed with a bulging disc in my neck. My family doctor recommended physical therapy and as the pain got worse, finally sent me to a specialist in Neurophysiology. The specialist felt surgery was the only way to give pain relief. After talking to my daughter she recommended that I make an appointment with Dr. Potter. I saw Dr. Potter three times week and couldn’t believe how much the pain was improved in that first week. As the weeks went on the pain, numbness and tingling I had experienced for almost a year in my neck and arm were completely gone. I’m now on once a week appointments and am still pain free! I so appreciate Dr. Potter and the staff at Holmberg Wellness! Becoming a patient of Dr. Holmberg has significantly changed my physical well-being which in turn aids me as a whole person. Some perennial problems I have been experiencing are now minimal in terms of pain & inconvenience. I had been in constant pain and discomfort for two weeks before fatefully meeting Dr. Greg at a civic event we both attended. I chose to take him up on his free consult and x-ray offer, it has been one of the very best decisions I’ve ever made. He told me on the spot the primary issue which amazed me! I knew I had to pursue this avenue! I recently saw my primary care doctor who only gave me a sheet of stretching exercises. Yes, she did not say pills or surgery, yet, how are the stretches going to work when my bones are out of alignment? To anyone who is afraid or unsure; I can say, yeah I was too. I have always heard either really good or really bad regarding chiropractic. Remember: you know yourself better than anybody, don’t deny yourself better than anybody, do not deny yourself the opportunity to be well & healthy. I feel very fortunate that I happened to “stumble” across Dr. Holmberg on the last day of Riverfest. It was after that day that opened my eyes to the multiple benefits of a chiropractor. I have dealt with pain in my shoulder/neck area for numerous years, but I couldn’t get relief. Right away Dr. Holmberg diagnosed the issue and within a small amount of time I finally had relief!! This past April I was jogging and my heel began to hurt. I thought I had bruised it, but as the days went by I was in excruciating pain. Dr. Holmberg diagnosed the issue and after different types of treatment I am on the way to walking back to normal! Dr. Holmberg is professional, takes time to listen, does research for treatment to find out how to best treat you. To top it off his entire staff is very friendly, helpful, and top notch. Thank you Holmberg Wellness Group – You are awesome!! We have benefited from regular chiropractic care, in fact, with many health issues, chiropractic is the first choice for relief! Dr. Fair suspected statin medication as a principal cause of extreme muscle spasms and cramping, and his suspicions were confirmed by heart specialists. He researched and helped find natural alternatives and after several months of chiropractic treatments the pain is gone. Both of us have experienced positive results with chiropractic care and technique. The first time I met Dr. Holmberg, he was giving free consultations at the Riverfest Market Place. That particular day my lower back and right knee were really bothering me and making it very uncomfortable to walk. I filled out the questionnaire and spent the next few minutes discussing my various pains. He did a pressure point massage and I discovered sore spots I didn’t even know I had. I made an appointment to have the overall evaluation and after reviewing the results he made multiple suggestions on ways to improve my mobility and to get rid of my pain without pain medication or surgery. They have worked wonders. Through stretching and strengthening exercises and the adjustments, my back doesn’t hurt constantly. With inserts in my shoes, my adjustments are holding longer and I can walk pain free from my knee. Dr. Holmberg and his staff are wonderful. They make you feel like family. They don’t rush you in and out. You know they really care about your overall health. I was always hesitant and skeptical about chiropractic care. I believed that my pain was going to have to be corrected with surgery. I am “that” individual who would rather suffer through the pain than endure surgery. My neck pain had gotten so bad that I signed up for a massage with Holmberg Wellness during my lunch break while working. I am a teacher and they (Holmberg Staff) were giving complimentary massages to our staff. I was so relieved by that massage that I decided to give them a try. The pain in my neck and arm that I tolerated has been reduced significantly, after 6 months of visits. I will continue to make chiropractic care a part of my health and fitness routine. I feel so much better! It is with great pride that I write about how Greg Holmberg and Holmberg Wellness have completely changed my life. I am a dance professor and am extremely active, yet have always suffered from back pain. 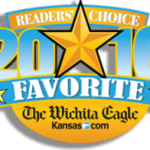 I have been to numerous chiropractors in Wichita and maybe found some relief but never any care that allowed me to do my job without pain, until Holmberg Wellness. Dr. Greg Holmberg has created a plan of care that addresses my specific needs – not a general “crack and wack” as I call it. They focus on muscles, trigger points, overall wellness, as well as chiropractic care. Not only are my back issues under control, but I have never missed a class due to pain since I started my care with them. Also, we figured out that most of my pain stems from the loss of my arches in my feet. They scanned my feet, got me custom orthotics and now I have added running to my already active lifestyle. I have dreamed of being a runner my whole life, but always found it so painful on my joints. Now thanks to my orthotics it actually levels my body back out after dancing, as well as brings me great pleasure. I am even a happier person! All around Holmberg Wellness has truly changed my life and my active lifestyle. The best part is that I found them through Groupon! I wanted a massage and my consultaltion was tied to the massage. Funny how they won me over! Wonderful people + Strategic care = Holmberg Wellness. I sought treatment from Dr. Holmberg because of low back and hip pain. Before I started coming I could no longer exercise because of the pain. After receiving regular roller bed therapy and adjustments I am now able to walk 2-3 miles at a time, and am attending Zumba classes without pain. I would highly recommend Dr. Holmberg for chiropractic care. He gave me back my ability to exercise. My range of motion has improved, also stamina in my legs. I have less pain in my feet and I can stand for longer periods of time. Dr. Holmberg and his staff are all such nice, caring people. They all remember so much about my wife and me. I am amazed at how many different things Dr. Holmberg does to improve me. Dr. Holmberg spoke to a group of cancer survivors that I attended. He was very good at explaining things and was very well received. Since coming here I have discovered that several of my friends that I really respect also come here. My thanks to Dr. Holmberg and all the staff.